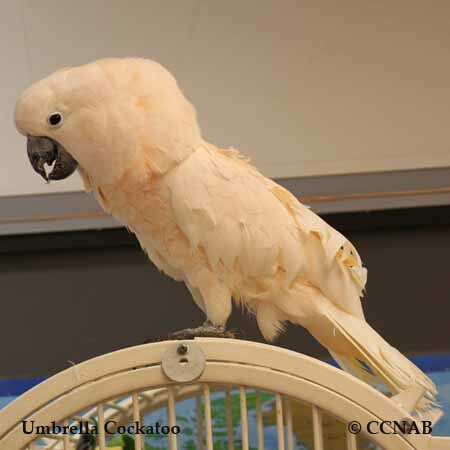 Exotic birds in North America is a collection of images of parrots, parakeets, macaws, cockatoos, cockatiels and other birds seen in North American bird centres and zoos. Some of the bird species that have been seen are escapees or domestic birds released in the southern regions of North America. It is becoming a common ocurrence to see these birds in Florida, Texas, Arizona and California. Large flocks of parrots and parakeets can be seen leaving their roosting areas in the morning and re-gathering in the evenings in various cities in southeastern Texas daily. Most of these exotic birds are known for the noise they make as they perch in the tree tops or as they commute to their feeding areas. Almost all the bird species in the psittacidae and have multi-coloured plumage, large beaks and feed on nuts and fruit.